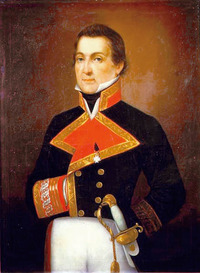 MALASPINA, ALEJANDRO, naval officer and explorer; b. 5 Nov. 1754 in Mulazzo, in the duchy of Parma (Italy), third son of Carlo Morello, Marquis of Malaspina, and Catalina Melilupi; d. unmarried 9 April 1810 in Pontremoli (Italy). Alejandro Malaspina, a Spanish subject, entered the Spanish navy in 1774 as a midshipman. He received knighthood in the order of Saint John of Jerusalem in January 1775 and two months later was promoted lieutenant. 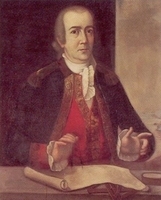 By the age of 30 Malaspina had already circumnavigated the globe, and, because he had proved on this journey both his naval expertise and a capacity for scientific investigation, he was able soon after his return to persuade the Spanish navy to undertake an exploratory and scientific mission round the world in imitation of James Cook*’s voyages. Malaspina, now a captain, was given command of the expedition, which comprised two ships, the Descubierta and the Atrevida, both well staffed and equipped with the best scientific instruments. Among the participants sailing from Cadiz on 30 July 1789 were lieutenants Dionisio Alcalá-Galiano and Cayetano Flores Valdés y Bazán, and Manuel José Antonio Cardero, a crew member who was later to prove his artistic capabilities; Tadeo Haenke, who would become the most prominent of the scientists on the voyage, joined the expedition only after it had reached the west coast of South America. Malaspina’s itinerary included Montevideo (Uruguay), Patagonia (Argentina), the Falkland Islands, and numerous ports on the west coast of South and Central America. The original plan was to visit the Sandwich (Hawaiian) Islands; however, the idea of a northern passage through North America had been reawakened in scientific circles [see Philip Turnor*], and upon arriving in Acapulco (Mexico) Malaspina found his orders changed: he was to seek the Strait of Anian, as the Spaniards called it, supposedly navigated in 1588 by Lorenzo Ferrer* Maldonado. Exploration of the Sandwich Islands was made the responsibility of a junior officer and, with orders to inspect the coastline as far north as the 60th parallel in search of the imagined strait, Malaspina led the main body of the expedition northward. He was also to visit the Spanish outpost at Santa Cruz de Nutka in Friendly Cove (Nootka Island, B.C. ), where a confrontation between his compatriot Esteban José Martínez* and James Colnett, an Englishman, had led to an international dispute over regional sovereignty. Having made preparations in Acapulco, Malaspina set sail on 2 May 1791. He took his vessels far to the north, making his first landfall in late June at Port Mulgrave (Yakutat Bay, Alaska, where a glacier still bears his name), and then coasting as far west as Prince William Sound. From there the explorers turned back along the shore, making coastal profiles and seeking the northwest passage in vain. On 12 August the ships entered Nootka Sound and anchored near the Spanish settlement, where Pedro de Alberni was in command. Journals kept by various members of the expedition indicate that their stay in the sound was fruitful. 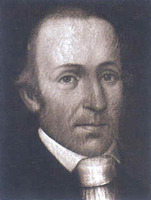 Malaspina solidified Spanish friendship with Muquinna*, the principal leader of the local Nootka Indians, while at the same time approving the purchase of several slave children in the belief that they would suffer starvation or even become victims of cannibalism if left with their original Nootka captors. Scientists gathered astronomical and geographical data; maps were made; and the Nootkas became subjects for both ethnographers and artists, who collected many native artefacts and produced a great number of drawings of the area and its people. On 28 August the ships left Nootka Sound. After a brief visit to Monterey (Calif.), they reached Acapulco in mid October. On 20 December Malaspina set off across the Pacific, visiting various ports in the Orient and Port Jackson (Sydney, Australia) before returning to South America at Callao (Peru) the following July. After retracing its path round Cape Horn and across the Atlantic the expedition arrived home at Cadiz on 21 Sept. 1794. Malaspina soon set to work editing for publication the vast quantity of material gathered. 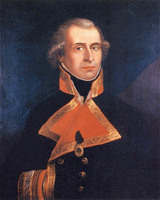 He was promoted brigadier of the naval forces on 24 March 1795 but soon ran foul of court intrigue, in part as a result of his willingness to express the conviction that Spain’s reactionary attitude toward economic and social development in her colonies was in need of thoroughgoing change. He was imprisoned in November and, having been found guilty of treason, was stripped of his rank and position the following April. After some six years in jail Malaspina was finally released on condition that he would not again set foot in Spain. He retired to his native Parma, where after a period of public service in minor positions he died at Pontremoli in the spring of 1810. Almost all of the extensive material relating to Malaspina’s expedition is in the Museo Naval (Madrid). A catalogue is in preparation. Other useful sources include the following: Archivo Museo Don Alvaro de Bazán (Viso del Marqués, Spain), Alejandro Malaspina, hoja de servicios, expediente personal. Viaje político-científico alrededor del mundo por las corbetas Descubierta y Atrevida al mando de los capitanes de navío D. Alejandro Malaspina y Don José de Bustamante y Guerra desde 1789 à 1794, ed. Pedro de Novo y Colson (Madrid, 1885). Emma Bona, Alessandro Malaspina, sue navigazioni ed esplorazioni (Rome, 1935). D. C. Cutter, Malaspina in California ([San Francisco], 1960); “Malaspina at Yakutat Bay,” Alaska Journal (Juneau), 2. (1972), no.4: 42–49. Donald C. Cutter, “MALASPINA, ALEJANDRO,” in Dictionary of Canadian Biography, vol. 5, University of Toronto/Université Laval, 2003–, accessed April 22, 2019, http://www.biographi.ca/en/bio/malaspina_alejandro_5E.html.